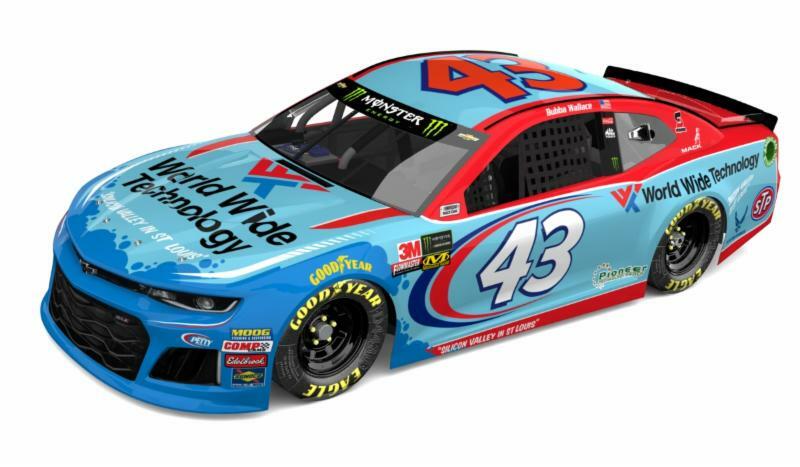 Richard Petty Motorsports (RPM) and World Wide Technology (WWT), a market-leading technology solution provider, announced today an extension of their official partnership that began in 2018 naming WWT the Technology and Analytics Partner of RPM. As part of the extension, WWT continues to be a primary sponsor of the No. 43 Chevrolet Camaro ZL1 team and will be a major associate sponsor throughout the 2019 season. In addition, WWT will continue to provide RPM with data analytics, consulting and technology solutions. This past season, WWT embedded a team of its data scientists within the organization to analyze information to optimize the team’s performance on the track. The result was a one-of-a-kind, proprietary dashboard used late in the season by the team. Showcasing improvements early on, initial results included a seven percent increase in Average Running Position, a 10 percent increase in Average Finish, and improved strategy decision-making by the crew chief and race engineers. Additionally, the dashboard featured artificial intelligence (AI) for visual data classification and combined more than five data sources onto one screen for improved data visualization, allowing for better performance comparison (e.g., tracking speed against the other cars). WWT and RPM will continue to develop this and other technology solutions in 2019 to compete and win on the track. New features in 2019 will include the addition of deeper analytics functionality to the application, expanded AI to gather and analyze visual data, and predictive analytics for race strategy. WWT will sponsor Wallace Jr. for multiple races in 2019 with the number of races and race dates to be announced at a later time. The No. 43 Chevrolet Camaro ZL1 and team will bear the WWT branding and Silicon Valley in St. Louis message. WWT helps organizations across a wide range of industries to survive and thrive the digital disruption that surrounds them. WWT’s innovative ecosystem, known as the Advanced Technology Center (ATC), brings together hundreds of technology companies, from Silicon Valley heavyweights to emerging tech players, to test out and integrate technology solutions for customers – cutting technology evaluation from months to weeks, sometimes days, and producing game-changing results. WWT complements the ATC with 500 agile application developers who build digital experiences for customers, as well as big data solutions, advanced analytics and artificial intelligence that help customers turn data into business value.